For the ordinary soldier, modern warfare is an impersonal business over which he has little direct control. For the sniper, however, it is a deadly one-to-one confrontation - with only one winner. This book is a comprehensive study of sniping on both sides of the Atlantic. 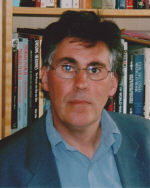 The author examines sniping's historical background, from its origins in the American Revolution and subsequent development in the 19th century through to its establishment as a tactical discipline during the two world wars. The role of the modern sniper is carefully evaluated, as is his training and effectiveness in more recent conflicts, including Vietnam, the Falklands and the Gulf War. The inclusion of eyewitness accounts provide a telling insight into what it is like to look down the sights of a telescopic-mounted rifle: how the snipers of the Wehrmacht and Red Army dodged through the rubble of Stalingrad, to fire the first shot that could mean either life or death; why US Marines operated deep behind enemy lines in Vietnam, taking on vastly superior forces in long-range firefights; the story of the SAS in the Gulf, taking on targets at ranges of over a mile. "Sniper is a comprehensive account of the occupation as it is carried out today, complete with a guide to the best weapons for the task." "Brings a new insight to the art of sniping ... accounts of the engagements are excellent .... Descriptions of the training and deployment were of great interest and comprehensively covered ... a most interesting book, well researched. Excellent." 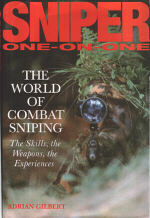 "An exhaustive, ice-cold briefing that tracks the martial art of sniping." "About as good a book of its size on the subject as could reasonably be expected. Sniper is highly recommended." "Speaking as a professional sniper with service in Northern Ireland and the Falklands, I do have to say this book is one of the best. 5/5"